On Sunday 18th November Sheffield residents will get to experience Christmas in style as we transform the square into a 'winter wonderland' for the official Christmas light switch-on. 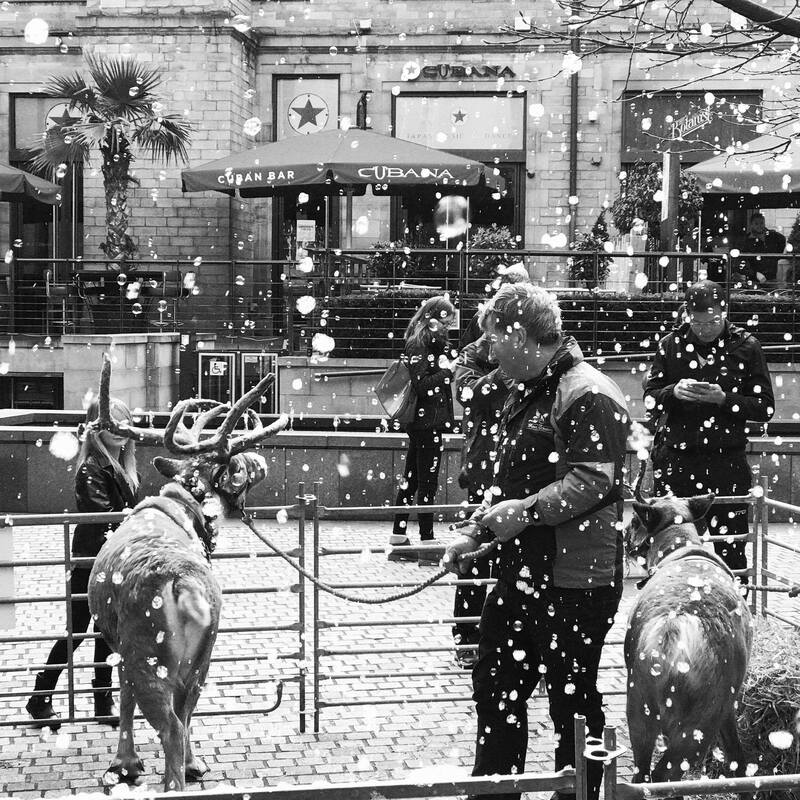 For one day only, from 12pm until 5pm, The Square will host a magical winter wonderland event featuring a special snow machine and a number of Santa's reindeer. Good girls and boys are invited to get up close and meet the stunning festive animals before taking advantage of The Square's free face painter who will be on hand transforming youngsters into their favourite festive characters. Local choirs are also set to make an appearance on the day with children from Emmaus Primary School performing from 12pm-1pm, as well as members from Sheffield's Rock Choir and Sheffield Community Choir singing to crowds and spreading seasonal cheer at 3pm and 4pm respectively. Furthermore, Ryan Taylor, The Square's resident DJ, will be entertaining the crowds with a variety of Christmas hits throughout the day, whilst The Square's many restaurants and bars will be offering visitors a variety of festive food and drink delights. "With The Square's outdoor heaters and cosy blankets as the snow falls, Santa's reindeer and face painter entertaining the little ones, live music from our local community, and festive food and drink treats from our tenants, there's something for everyone to enjoy at our Winter Wonderland event. I hope it helps our visitors get into the spirit of Christmas ahead of Sheffield's main light switch-on at 5.30pm."